Make sure cords are in good condition — not frayed or cracked. Check to see that extension cords and outlets are not overloaded. Make sure electrical plugs fit the outlets. Check the wattage of bulbs in light fixtures to make sure they're the correct wattage for the size of the fixture. Don't leave plugged-in appliances where they might come in contact with water. 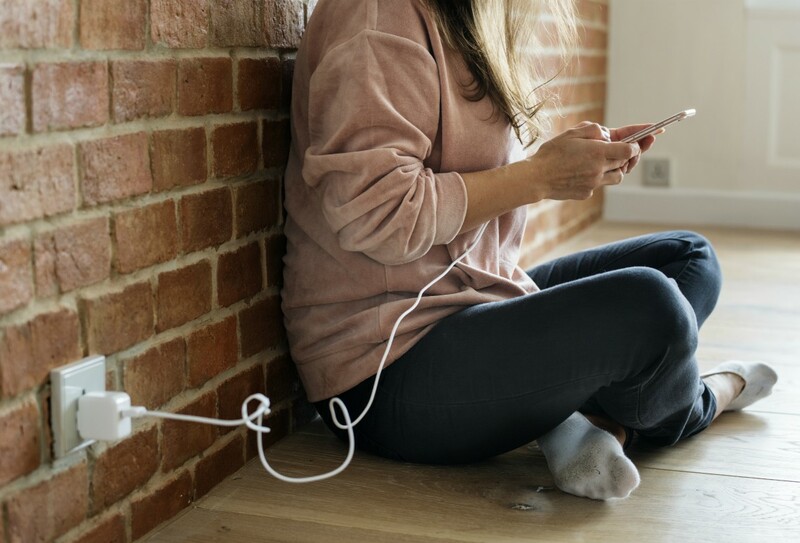 During an electrical storm, don't use appliances or telephones; don't take a bath or shower; keep batteries on hand for flashlights and radios in case of a power outage; and use surge protectors on electronic devices and appliances. For more safety tips contact the Electrical Safety Foundation International at (703) 841-3229 or visit www.esfi.org. Conservation tips: It's a win-win! We all know that energy conservation is important. Turning off lights and appliances when not in use has become second nature for most of us. Nevertheless, most of us don’t really understand how much our appliances cost to run. Knowing the facts can help you trim your power bill and protect the environment - it's a win-win! Below are estimates of what some typical household appliances cost to run. Estimates are based on an average residential electric rate of 8 cents per kilowatt hour. Your costs will vary depending on the time used, your electric rate and the efficiency of your appliances. Click here to take our home energy quiz to find ways you can save electricity around your house. Energy and the way we use it, is an important environmental issue facing the country. 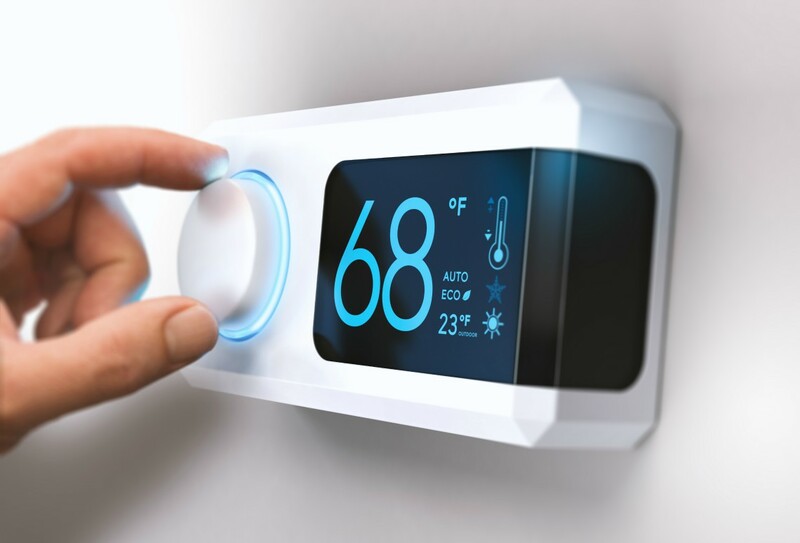 On average most consumers believe it is important to help the environment by conserving energy, but energy conservation can also mean huge savings on your power bill. 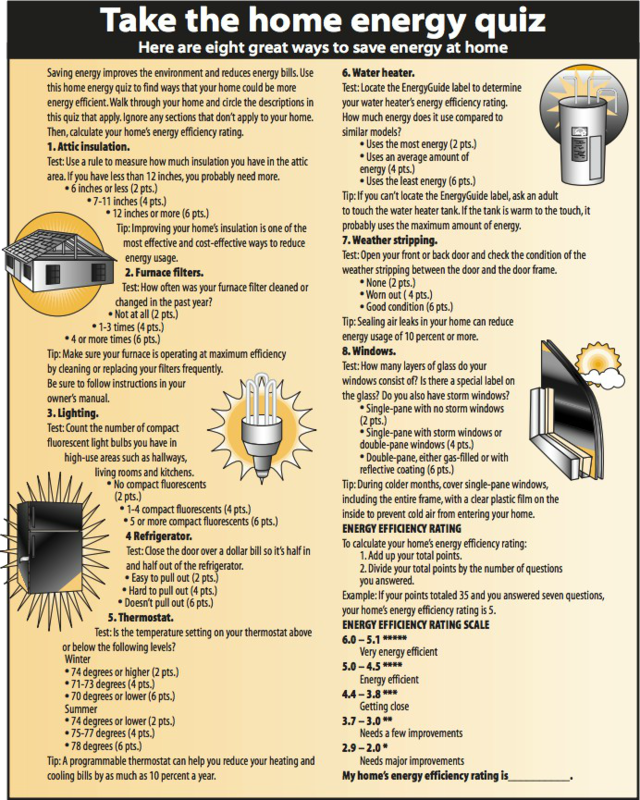 There are lots of simple things you can do to help conserve electricity and save money on your electric bill. Looking for the Energy Star label, the symbol for energy efficiency, when buying home appliances and products. Households that replace existing appliances with Energy Star products can cut annual energy bills by 30 percent. Installing storm windows and doors. This move to prevent warm air from escaping can cut heating costs. Cleaning or replacing central air system filters once a month. Turning lights off when not in use. Replacing all light fixtures and bulbs that operate four or more hours a day with ones that use fluorescent bulbs to save money and energy. Letting nature light your home. Sunlight is brighter than a multitude of light bulbs, and it's free. Putting timers on a few lights in your home, and installing motion detectors on exterior lights. Using a microwave or toaster oven to cook small portions of food and a conventional oven or stove-top for larger items. Turning off TVs, VCRs, cable boxes, CD players, cassette decks and computers during long periods of non-use. This will cut costs and increase the life of that product.